media.ccc.de - Playlist for "Reproducible Builds - where do we want to go tomorrow?" 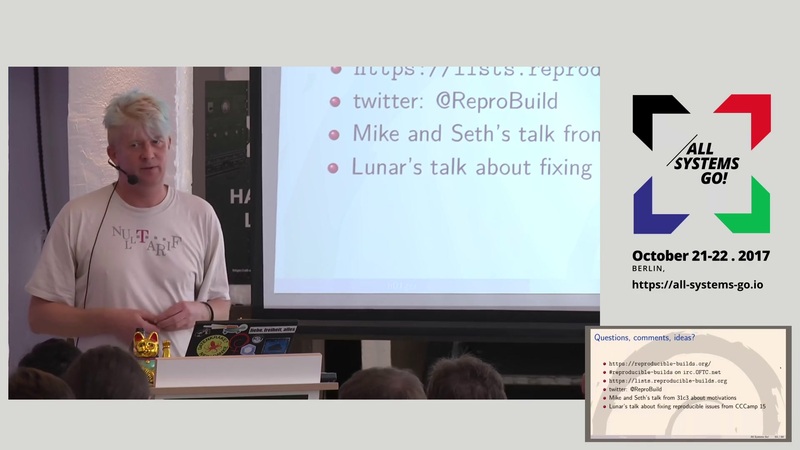 Playlist "Reproducible Builds - where do we want to go tomorrow?" Reproducible Builds - where do we want to go tomorrow? A status report on Reproducible builds, which enable everyone to verify that a given binary is made from the source it is claimed to be made from, by enabling anyone to create bit by bit identical binaries.